Dave Shupe D.V.M. 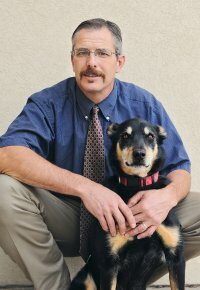 and "Jack"
Dr. Shupe is a native of North Ogden and has thoroughly enjoyed the last 13 years at Coldwater Animal Hospital. He gets very excited to see friends, family and community members bring their pets in for great medical care. He is an excellent surgeon and has a special interest in orthopedic surgeries. Val Poll D.V.M. and "Sophie"
Dr. 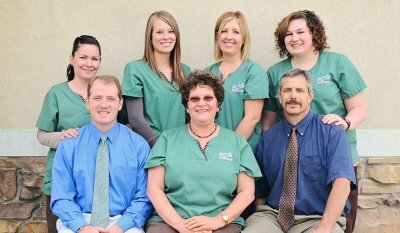 Poll loves to interact with both patients and clients and has a special interest in ultrasound,internal medicine, and animal dentistry. He offers a wide option of Alternative and Homeopathic treatment plans for many conditions. 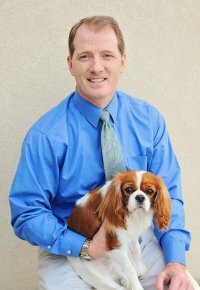 He is the primary mentor for the Certified Veterinary Assisting program and has assisted many Pre-veterinary students prepare for veterinary school. 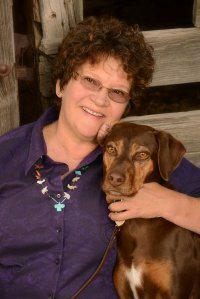 Nancy, Hospital Manager, CVPM, RVT and "Ready"
Nancy is a Registered Veterinary Technician and Certified Veterinary Practice Manager. She has a unique way of calming the concerns of worried pet owners and seeing that your pet gets great care. 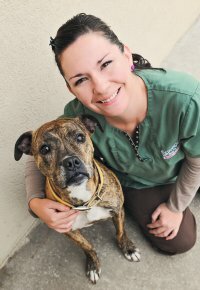 She represents her team in accepting the Veterinary Hospital Manager Association 2012 Transforming the Practice Award. Ask her for more details about our popular WELLNESS PLANS. Bridgett, CVA Level III and "Milo"
Bridgett is one of our valuable CVA's. 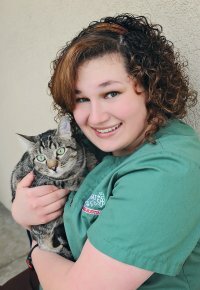 She brings a passion for animals and medicine along with excellent customer service skills. She is in charge of our hospital's emergency evacuation team. Click Here for a copy of a pet 72 hr emergency evacuation kit. Kaitlyn, CVA Level III and "Ricky"
Kaitlyn has several years experience in the industry and has worked at other veterinary hospitals in the great state of Utah. We appreciate her work ethic and her wonderful sense of humor. She stands ready to attend to your pets every need!